Since it opened in 2008, Westfield London has transformed London’s retail landscape, rejuvenated the local area through the improvement and expansion of a key transport hub and changed the way people shop through the adoption of new technology. Showcasing more than 750 brands across more 360 luxury, premium and high street retailers, Westfield London attracts the best UK and international shops including UK firsts such as Bentley Studio London, Lindex, Tesla and more. As well as providing a world-leading shopping experience, Westfield London is a leisure destination for locals, Londoners and tourists alike with a 17-screen state of the art cinema, the UK’s first KidZania and a number of popular restaurants and bars. In addition to the recent investment to the centre which has seen a major enhancement of Debenhams plus an array of luxury brands transform The Village with the arrival of Sandro, Claudie Pierlot and Zadig & Voltaire, Westfield London is embarking on a £600 million expansion. The project will add 740,000 sq ft of high-quality retail, residential and mixed-use space to create a vibrant townscape and pedestrian quarter. We are very excited that the 230,000 sq ft John Lewis Department store will anchor this expansion and we look forward to announcing more brands soon. The precinct’s new shops, homes and businesses will be a valuable addition to the community that lives and works in the White City Opportunity Area. 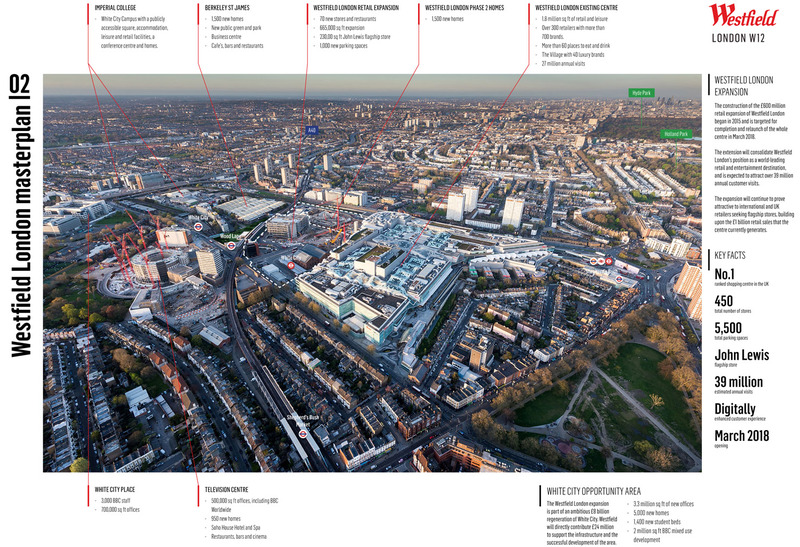 We pride ourselves on creating exciting and innovative places for our customers, neighbours and retailers and this major investment in Westfield London reflects this.